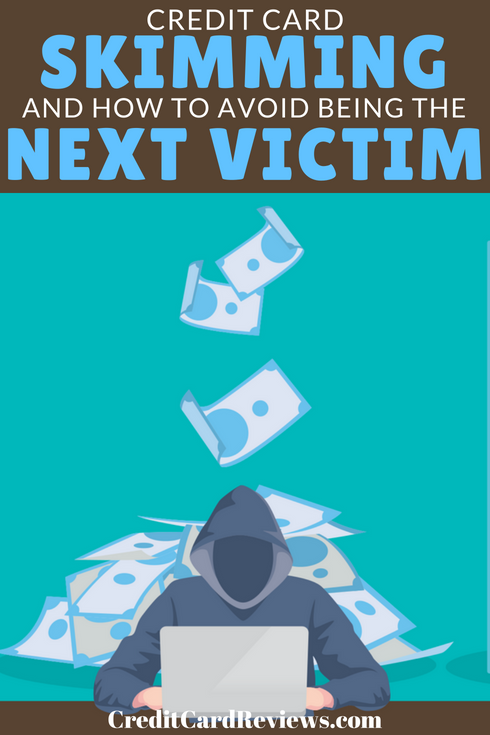 The credit card thieves targeting you don’t need sophisticated hacking skills to get ahold of your credit card details and take all of your money. Though credit card skimming, the practice of stealing credit card numbers off the physical credit card rather than online, is nothing new, the crime has seen a resurgence. FICO says that in 2016, at least 70% of debit cards were compromised by merchant card readers and ATMs. So prevalent is skimming that state officials across the country are issuing warnings to consumers to be on alert as they gas up or withdraw cash at ATMs. In 2017, Michigan proposed legislation that would require owners of the state’s 100,000 plus gas pump to take new security measures to protect credit card users. Let’s take a look at how skimming works and how you can protect yourself from this financially devastating crime. In the past, a bulky device might have been a giveaway that a credit card reader had been tampered with, but thieves these days have virtually undetectable skimmers they embed deep into card readers at self-service gas pumps and ATMs. The skimmers are invisible to the untrained eye. Skimmers transmit credit card details wirelessly to third parties who use the information to make purchases or clones of the card. Some thieves also sell stolen credit card information online. 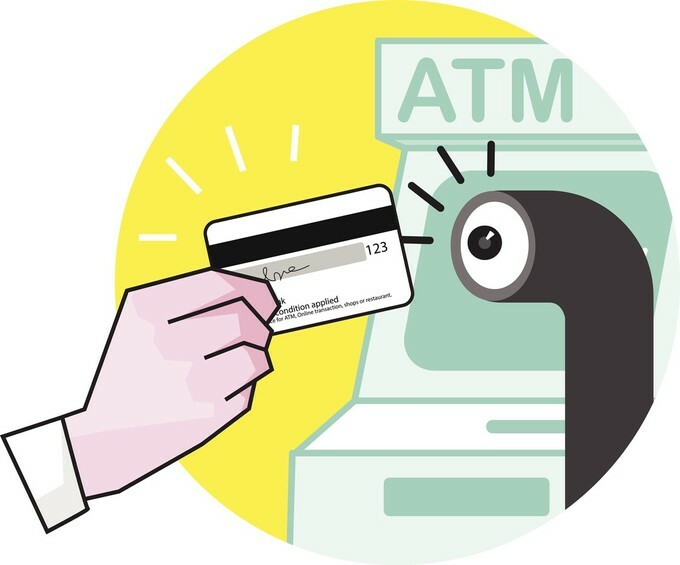 In some cases, credit card thieves install cameras close to ATM number pads to capture your PIN as you enter it, but they don’t necessarily need a camera to steal your PIN. Credit card thieves also still rely on skimming rings consisting of accomplices in businesses like restaurants and bars. So, in a restaurant setting, for example, customers might feel very comfortable turning over their credit card for charges, but this gives less-than-honest staffers time alone with credit cards. The same is the case when you pay for food at a drive-thru. You give your card to a cashier through a window, but you don’t see what happens to it once it’s out of your hands. When skimming happens, some credit card owners don’t realize they’ve been robbed until they check their accounts, which may be hours or days after the crime takes place. You might expect a series of frightening events leading up to being robbed, but how do you know you’re about to be a victim of a robbery when you’re just pumping gas in your friendly neighborhood gas station, grabbing a burger and fries at the drive-thru you visit every day, or having drinks at your favorite bar with friends? Here are some tips to help you spot and avoid skimmers. At gas pumps, check the other pumps before you pay. If the reader on the pump you’re using looks different than the others, don’t use it as it may look different because it has a skimmer attached to it. Instead, take a few extra minutes to pay for your gas inside the store. Try not to let your credit card out of your sight. Don’t be shy about asking the waiter or bartender how they handle credit cards. Because credit card theft is so prevalent, they may swipe your credit card at your table when you’re ready to leave. If a waitress or bartender must take your credit card to swipe away from your view, consider paying with a low-limit credit card; if a loss occurs, it won’t be severe. Also, try never use your debit card for restaurant or bar purchases. Cash stolen from your bank account may be more difficult to recover. Hide your PIN. You might be the only person standing at an ATM, but that doesn’t mean no one's watching. It’s a good idea to cover the number pad with your hand when entering your PIN. Thieves sometimes place overlays on number pads, when makes them difficult to use. Avoid trying too hard to enter your PIN in a number pad that’s not easy to use, as this could mean it has been tampered with. Monitor your credit card account. With alerts, you can set your account to send you a text message or email every time a transaction occurs. Pay close attention to your alerts and contact your credit card company regarding unauthorized transactions immediately. If someone steals your credit card information, placing a fraud alert on your account means businesses must verify your identity before any transactions. If you suspect your credit card details have been skimmed at a business, don’t let it slide. Report the incident to local law enforcement. It’s also important to report it to the appropriate consumer protection agency within state government, as the information you provide could help break up a skimming ring.